…and yes ice is an ingredient. So I buy the ice I use, it is good clean and light. 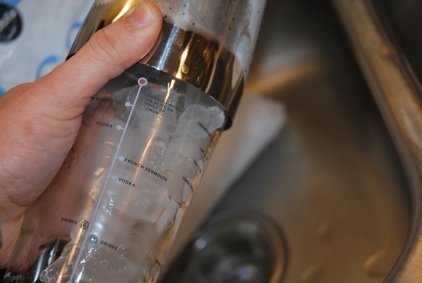 The regular ice in your refrigerator is a bit more dense, and it might have some refrigerator funk with it. 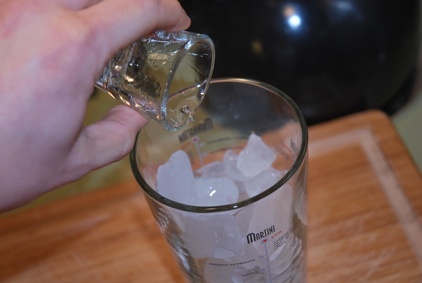 Small ice cubes, have larger area, which means that they cool the drink more effectively, but they also melt faster. 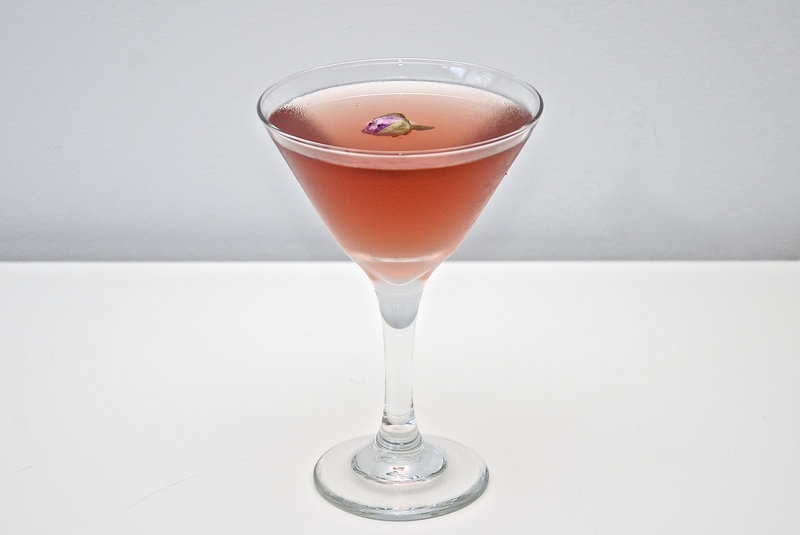 And although the melting is required, to much will make the drink to dilute. 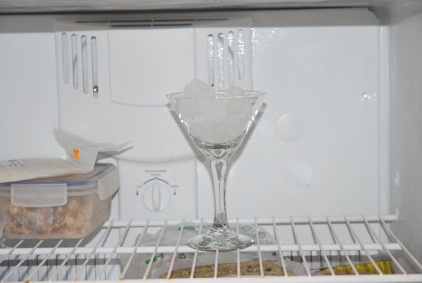 Start by chilling your glass in the freezer, with ice in it. 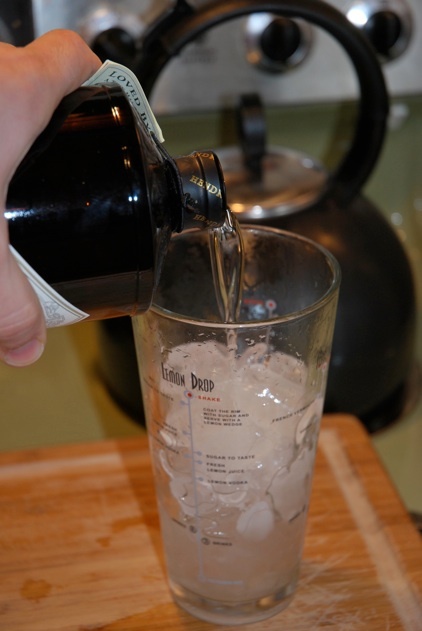 A cold glass will keep your drink colder for longer. 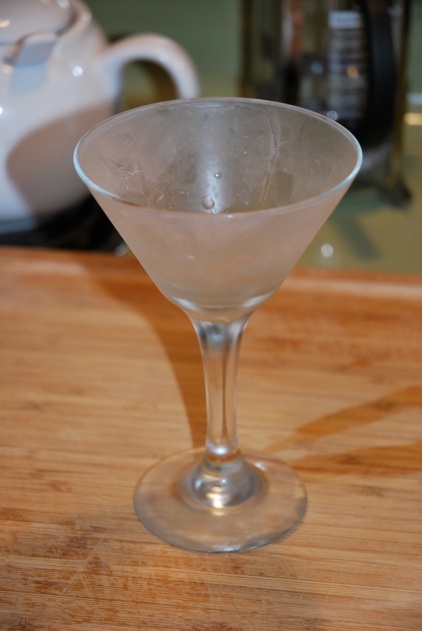 Add a cup and a half ice in the bottom part of the boston shaker. What is a boston shaker? Go to the post about the bar tools to find out. Add it in the ice. Cover firmly and shake vigorously. 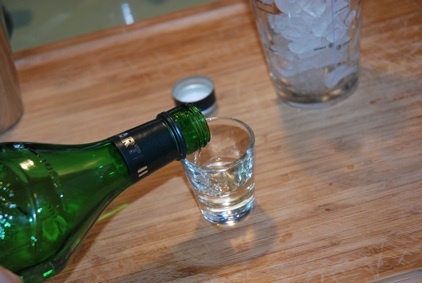 Now ckack open the shaper and let the vermouth slide out. Whatever has stayed on the ice, is what we will use. 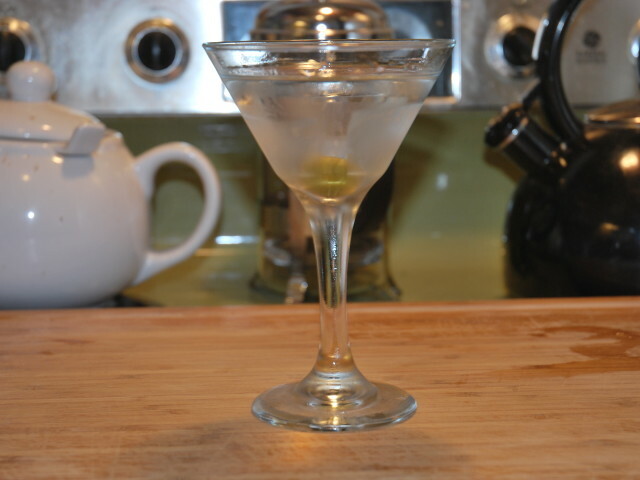 Add the gin. Let it pour… Until is about half an inch bellow the ice level. 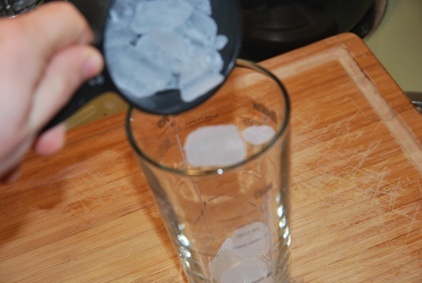 That varies based on the ice, the glass and the packing of the ice. For this particular ice and glass this is what you need. 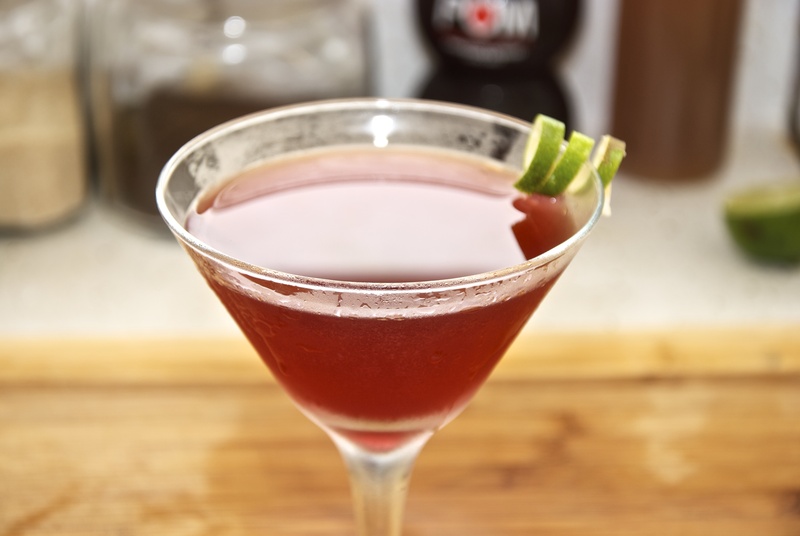 Stir slowly with your favorite stirrer for at least 1 minute. 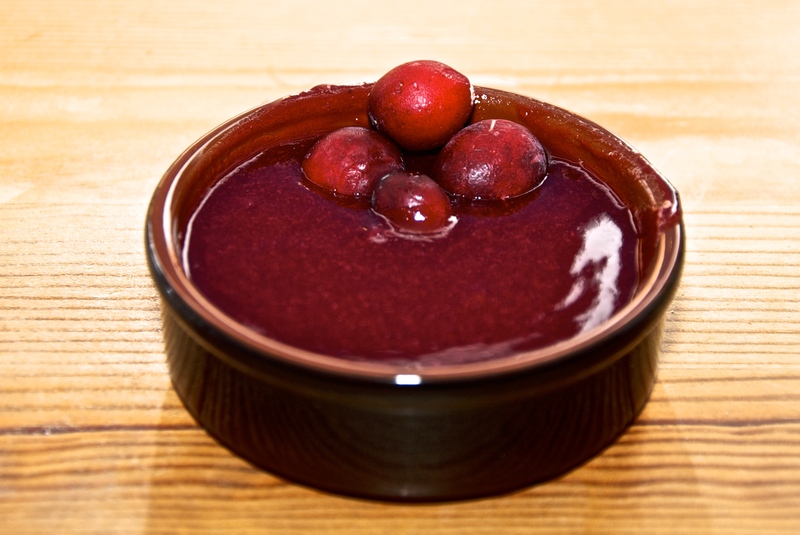 Slow stirring will ensure good mix, but no beating of the ingredients. 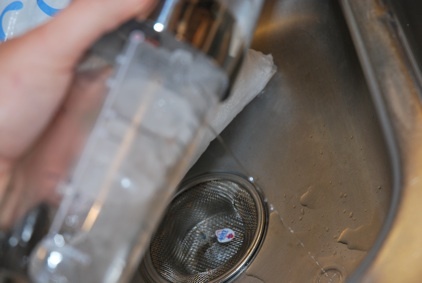 It will slowly dissolve the ice and let the water blend with the rest of the ingredients. 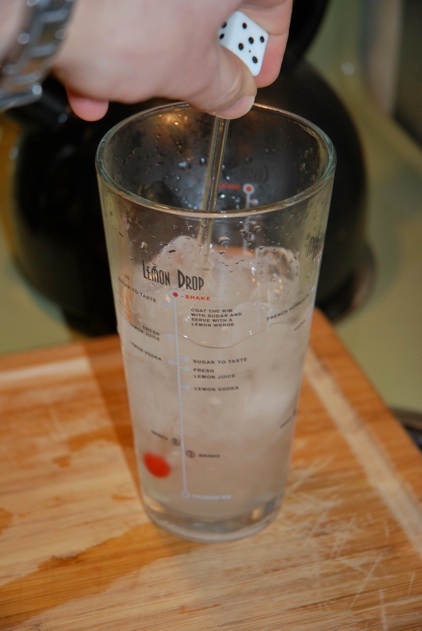 Shaking will make the drink cloudy and will make the taste very sharp. Take out your fully frosted glass. 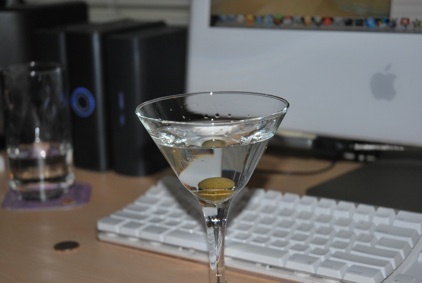 Add the olive. 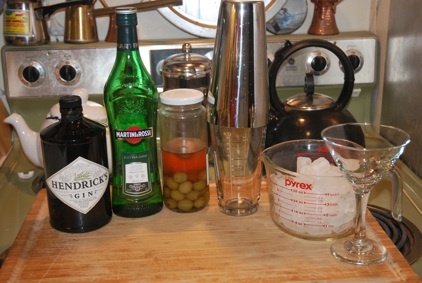 Although they were regular olives in brine I took out half of the brine, and I added vermouth. 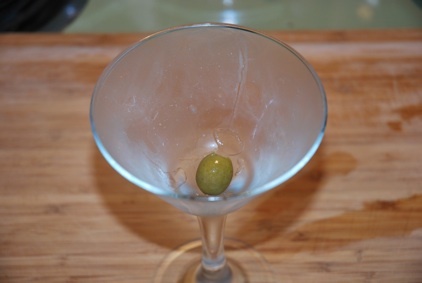 That takes some of the brine bite, and makes the olive blend better with the delicate taste of the gin. 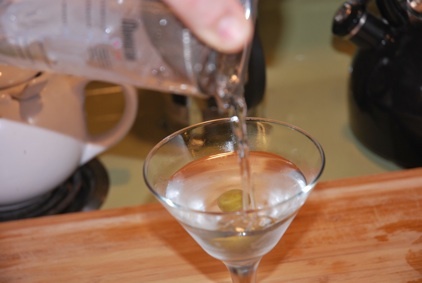 By using a strainer to hold the ice pour out the martini in your glass. Initially there might be a frost around the glass. It is fine. It should be. 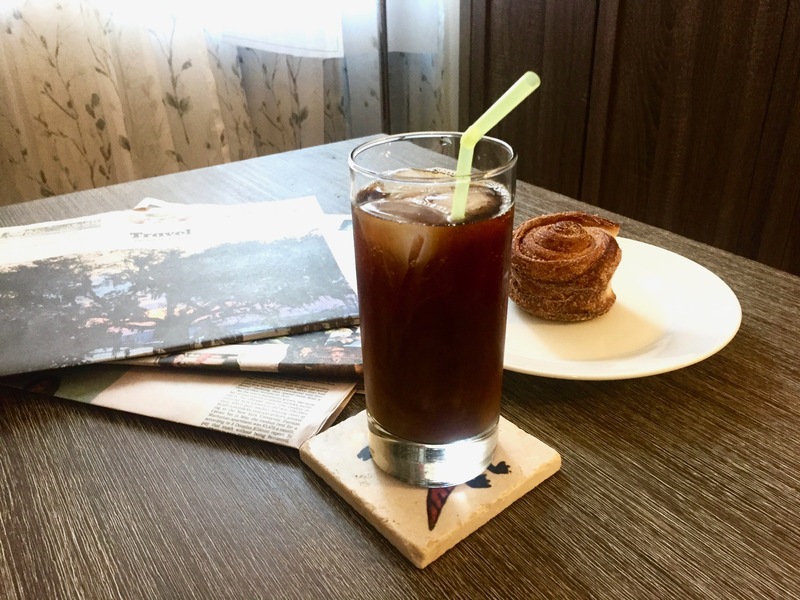 That means that the drink is very cold, as it is supposed. Give it a few minutes, and by the time you are at your computer, it should be ready. Oh and by the way, it is the complete opposite of what James bond might have had. 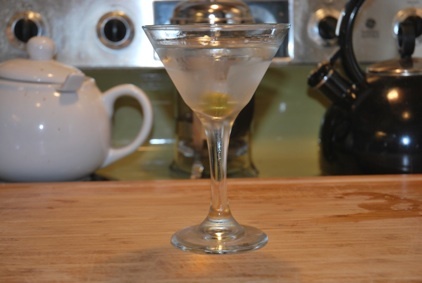 It is with Gin instead of Vodka, and it is stirred other that shaken. Well if Mr. Bond had this one I am sure he would change his mind. 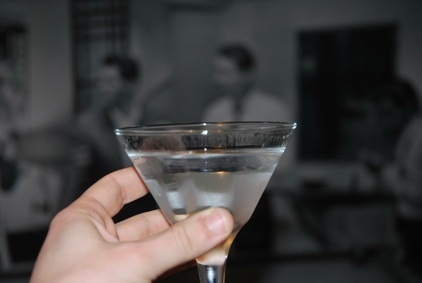 I still make a martini “your way” to this day!